Chevy Traverse Forum: Chevrolet Traverse Forum > Chevy Traverse > General Discussion > Need help with trying to get recall!!! I need to get a recall issued for my 2011 Chevy traverse and the dealership told me that they are aware of the issue but since gym felt it wasn't a safety issue, that they would not issue a recall or make it right. I don't know what to do because I have water in both my wiring harnesses for my rear doors. This has called numerous issues with my rear doors INCLUDING not being able to unlock my son's door. The windows only work half the time and the speakers quit working altogether about a year ago. The speakers I thought could have been an issue with the aftermarket radio I had installed. I took it out and put the factoryone back inand tested and they still didn't work so I read some articles and found out that ALOT of other people had similar issues and that they to in fact had water in the wiring harnesses. Upon checking my harnesses I was shocked that the first time there was almost a solo cup worth of water in each harness. As any normal person with minimal intelligence knows water+electrical anything= MAJOR ISSUES!!! I am thinking about contacting a lawyer to see if I have a case for lawsuit but I really don't want to go that route for the obvious reason of money. 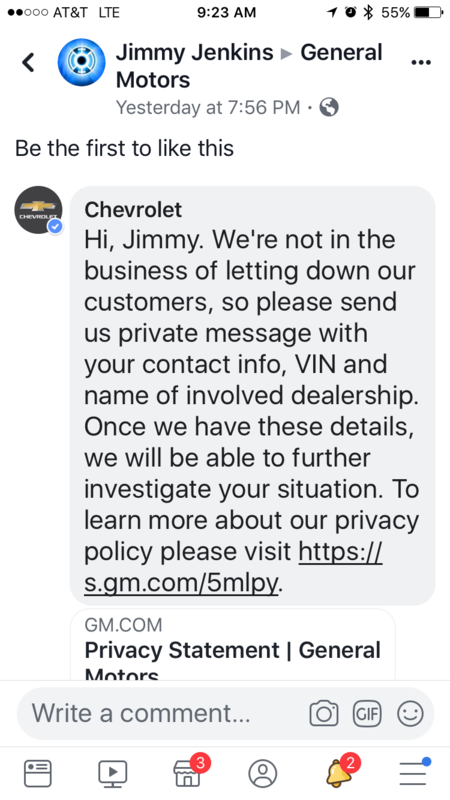 I just want GM to make it right for the thousands of customers that have had issues relating to this KNOWN issue. You're either first or your last! Has it ever been wrecked? It's the ls trim and it has not been wrecked. There are several thousand other people that I've seen have this issue as well and my dealership was aware of the issue also. And the weather stripping is just fine but even if it wasn't, there still shouldn't be water getting into the wiring harness that's supposed to be sealed. Get some dielectric grease and use it on the connectors. It's not a safety issue, so don't expect a recall. A lawyer will laugh you out of his office, I'm guessing. It absolutely is a safety issue when my son's door won't unlock and I can't get him out of my car. And I've used electric cleaner stuff on it and it hasn't helped. I've posted this to various GM social media accounts and I heard back from them within 12 hours so hopefully they'll make it right and take care of this. Looks like you are on the right track to get GM to make it right. Hopefully you will hear back soon. I understand your point of view, but you won't convince GM. You can still pull the button up, like we've done for the last 100 years. I never had a car with electric locks until the early 1990's. We pulled the buttons up. Going "old style" doesn't mean it's not "safe."